A lighthearted and even poignant documentary that doesn’t handle its revelations of abuse with sufficient care. It starts out bawdy, but ends on a melancholy note. Matt Tyrnauer’s documentary Scotty and the Secret History of Hollywood is the borderline-unbelievable account of a Marine who set himself up as a hustler and pimp for closeted homosexuals in post-WWII Hollywood. But this ribald tale takes a sad turn when the director pulls back the layers and uncovers more painful corners of Scotty’s—and Hollywood’s–sexual history. 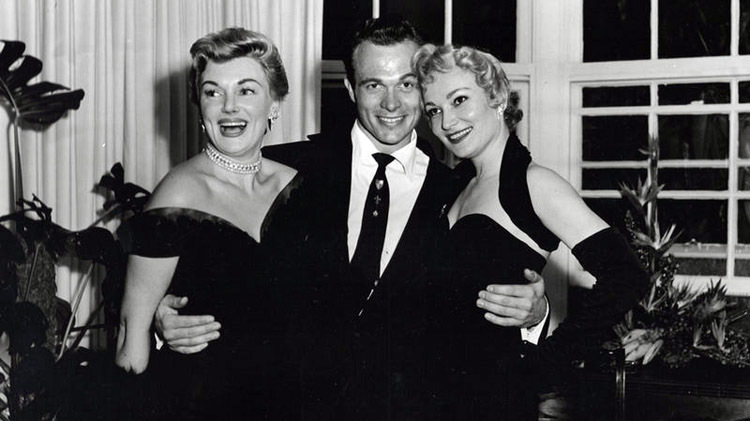 Tyrnauer, a frequent Vanity Fair contributor and the director of an excellent 2009 documentary about Valentino Garavani, has found a remarkable subject in Scotty Bowers. Even the meeting between director and subject is the stuff of Hollywood legend; Tyrnauer and Bowers first met through their mutual friend, Gore Vidal. Bowers met Vidal, and many others, at the gas station he worked at in Hollywood. The gas station is where the entrepreneurial Scotty, fresh out of the Marines, decided to start doling out more than gas. When he found himself exhausted by the demand for his services, he reached out to other former Marines, and Scotty transitioned from in-demand hustler to discreet pimp. Early on, the film has a comic tone, film are comedic, mostly because it involves a lot of dirty reminiscences coming out of the mouth of the 95-year-old Scotty. Tyrnauer cleverly mixes in double entendre-strewn classic movie clips and faded pictures of the attractive young Scotty in with interviews of Scotty today. As the images fly across the screen, his adventures at first sound outlandish, but then seem downright plausible. A lot of attention is paid to the most famous of closeted Hollywood legends, Cary Grant, Katherine Hepburn and Rock Hudson, among others. While still bawdy, their stories are particularly poignant as they paint a portrait of just how hard it was for these people to be themselves. Hudson’s story is particularly tragic, as he not only became one of the more public victims of the AIDS crisis, but headlines from the time demonstrate how unfairly he was treated because of his illness. Scotty’s affable if odd screen presence works well for the anecdotal portions of the film, but as he reveals more about his own life, things become uncomfortable. He speaks of a childhood and adolescence filled with sexual encounters, yet Tyrnauer seems uncomfortable shining a flashlight at these dark corners for long. Some more sensitivity and psychology here would have made a stronger impact, as it’s a jarring contrast with Scotty’s lighter-hearted moments. While Scotty himself pleasured – and provided pleasure for – men and women, the film is firmly queer, and this is to its benefit. Moving scenes towards the end show Scotty celebrating Marriage Equality and the fall of California’s Proposition 8. Though the shadowy corners of Hollywood are where Scotty made his living, the joy in his face upon seeing them erased is profound. Watching Scotty and the Secret History of Hollywood is like sitting down with an over-the-top acquaintance for an inappropriate but fun gossip session. But just as it is when someone you don’t know very well goes unexpectedly deep, the film doesn’t respond accordingly when Scotty reveals the less fun parts of his life. It works as a lighthearted and even poignant documentary, but doesn’t handle Scotty’s revelations of abuse with sufficient care.